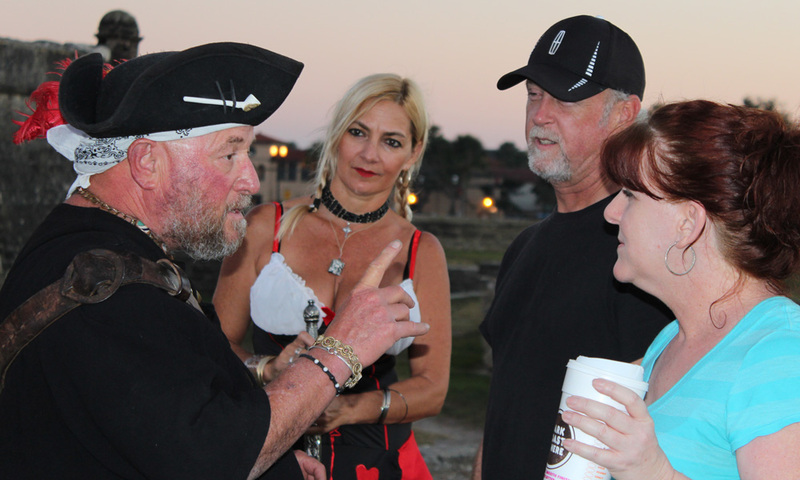 Ghost Walks with a Pirate is a walking tour in St. Augustine featuring the Old Captain and his lovely Female Pirate Crew. The tour is a leisurely stroll that is wheelchair-accessible and stroller-friendly. Guides take participants through historic streets and tell them the legends and ghost stories of St. Augustine’s past. Tours depart at 8 and 9:30 p.m. every night, seven days a week. The tour includes more than just ghost stories. There are also plenty of tales of conquistadors, Indians, and pirates on the 1.5-hour tour. The tour proceeds from the Castillo de San Marcos to the City Gate and then through the brick streets of the nation’s oldest city. Tour participants pass by the mysterious Huguenot Cemetery on Orange St., where the graves date back to the 1700s, and the Tolomato Cemetery on Cordova Street, which is named after the Indians who lived here and were converted to Catholicism in St. Augustine’s First Spanish Period. 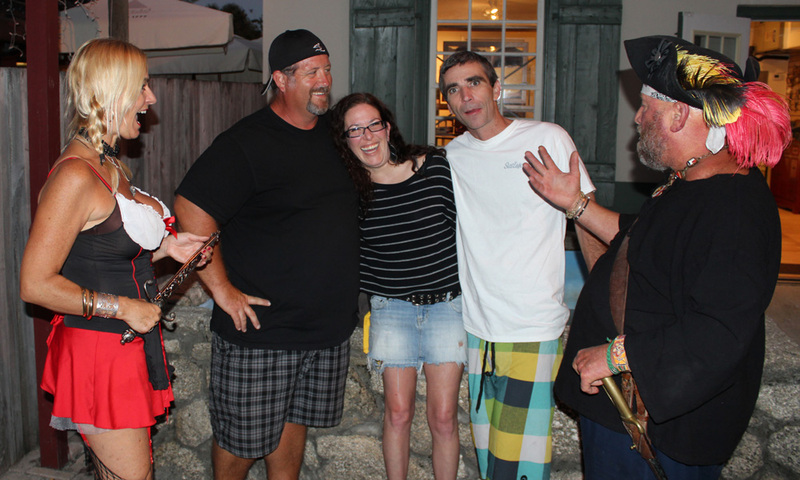 My family and I enjoyed the informative history and storytelling that our pirate gave . Funny and entertaining and very unique experience we were mesmerized for two hours of fun history facts and spooky ghost stories, and some say they saw spirit that night. A must!